Josepha Madigan was appointed as Minister for Culture, Heritage and the Gaeltacht on 30th November 2017. Josepha is the sole Fine Gael T.D. for Dublin Rathdown. ​Following her election to the Dáil for the first time in 2016, Josepha was appointed to the Fine Gael Government Formation negotiation team by former-Taoiseach Enda Kenny. Prior to her appointment as Minister, Josepha served on the Oireachtas Public Accounts Committee, the Future of Healthcare Committee, and was the Chairperson of the Budgetary Oversight Committee. She was a Fine Gael Councillor for the Stillorgan Ward on Dún Laoghaire-Rathdown County Council, from May 2014 until her election as a T.D. Josepha practiced as a solicitor for twenty years. She won Family Lawyer of the year at the Irish Law Awards 2014. Josepha is also an author of a handbook for family lawyers and their clients entitled “Appropriate Dispute Resolution in Ireland” (Jordan Publishing, 2012). She studied at Mount Anville School, Trinity College Dublin and Blackhall Place. Josepha has lived in the Stillorgan Ward all her life. Married with two children, her family has deep roots in the community. Josepha is a strong advocate of responsible governance and prudent spending. Josepha believes in a society that is progressive and creative but also in a government that is careful with tax-payers money and focused on building sound economic policies that make work pay. If left unregulated, social media networks could pose one of the biggest threats to western democracy according to Minister for Culture, Heritage and the Gaeltacht, Josepha Madigan TD. 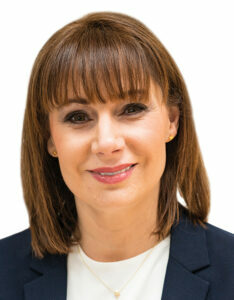 Minister for Culture, Heritage and Gaeltacht, Josepha Madigan, has welcomed plans to reopen Stepaside Garda station as a “modular” facility but is asking if the old station building could be categorised as “a Protected Structure,” and put to good use. Minister Josepha Madigan, TD for Dublin Rathdown, today welcomed the announcement that a site has been identified for Stepaside Educate Together Secondary School.